I woke up on the wrong side of the bed today. Seriously. No clean coffee cups, my computer system not working, the internet not working, and then when I finally did get coffee... I swallowed a chunk of something. And for the record, I have no idea what it was, and I'm still kind of creeped out by that. So that's how my day has one. Lucky for me, there was a saving grace: Glitter. Thats right. I've been anxiously awaiting Light Elegance's release of their Fall 2012 glitter gel collection since I saw it last week... It was due to come out Thursday, but by a happy chance, they put it up on their website just a little bit early. So when I checked their webpage at 9:45pm Wednesday, I happily saw these glitters that I fell in love with. So I added them to my cart, and my other glitter goodies that I wanted, and I checked out. Glitter to the rescue again. 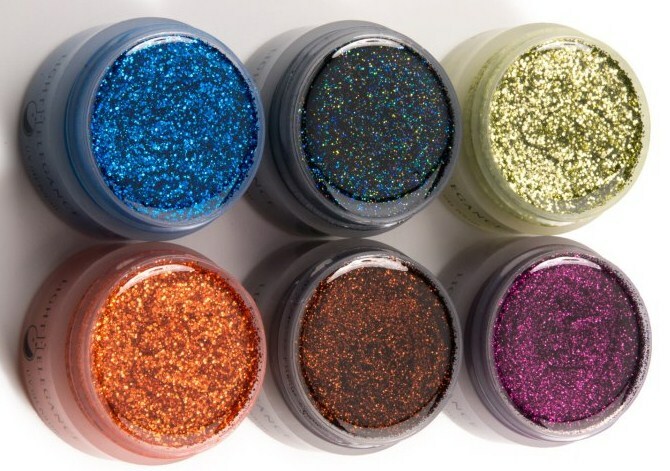 So no matter how bad my day is going, I look at a picture of these glitters and I feel better. Now... if only I didn't have to wait til September 29th to see these beauties in person -They're going to my place in Pittsburgh... which I won't see until after my vacation after I get off these God forsaken ship. But alas, I will survive. Just concentrate on the promise of glitter. And since Im so ridiculously excited for these, and because I promised you last time I posted my shopping spree spam, here's a photo of the glorious glitters. The 6 pack of fall colors are $80, and the single pots are $15.95 - each 15ml jars. Reduced prices are for the September/October annual sale, so don't forget to get them now! :) This is only for licensed techs - you have to provide your license number, so I'm sorry to all you other wonderful bloggers out there who aren't licensed, you're just going to have to drool over these pictures or find these shades in polish colors. Seriously, Thank God for Glitter. Now who wants to let me create some seriously sparkly nail bling on them?